NBA superstar and former Longhorn Kevin Durant is donating $3 million to his alma mater, the largest donation ever given by a professional athlete to UT. Despite having only been at UT for a year before being drafted by the Seattle Supersonics in 2007, Durant's tenure as a Longhorn scored him a 2007 Naismith Award. During the 2006-2007 season, his team also banked a 25-10 record and a No. 4 seed in the NCAA men's basketball tournament. His professional career, of course, has been ever more storied. Since turning pro, Durant has been awarded the NBA MVP in 2014, and went on to win the NBA Championship in 2017 with the Golden State Warriors. "My time as a Longhorn helped build the foundation for who I am today as a player and a person, and the UT team will always be my family," Durant said in a release. "It's important to me to continue to give back to The University and ensure that future student-athletes have all the opportunities they need to succeed. It's an honor to have such a close and unique relationship with Texas Basketball, and I'm grateful to be able to contribute." According to the Houston Chronicle, $2.5 million of Durant's donation will go to enhancing both the men's and women's basketball program. renovation of the men's and women's basketball locker rooms. resurfacing of both the men's and women's basketball practice courts. installation of graphics in the men's practice areas. the creation of formal office space in Cooley Pavilion. Cooley Pavilion will also be renamed in the The Kevin Durant Texas Basketball Center in his honor. 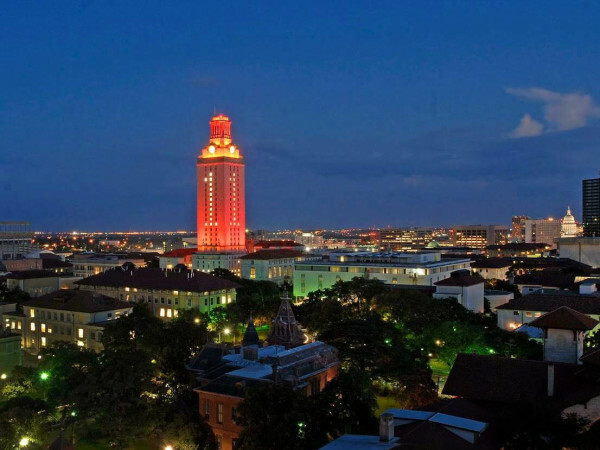 "As an NBA All-Star, as a gold medalist, as an NBA MVP and now, as an NBA Champion, KD has always had a powerful connection to The University of Texas," said UT president Gregory Fenves in a release. "I am grateful for his generosity and investment in the future of UT's student-athletes."